Picture this. You’re up early, getting ready for work. It took a lot to put yourself together, eat breakfast and get out the door with enough time to get to work early. Except you’re not getting anywhere fast. Someone else decided to park their car in front of the only exit from your driveway. What do you do now? 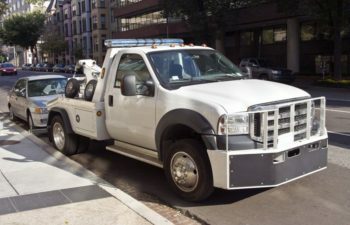 Find out what you need to know about towing an illegally parked car in front of your property. If you’re like a lot of people, your first inclination could be to try and move the car yourself. After all, that’s the fastest way to clear your driveway. Resist this urge, if you have it. Depending on the laws where you live, Entering into someone else’s vehicle without their permission is considered car theft. The driver of the other car might be near. Try asking around to see if you can find them. If they’re close you can get their attention and ask them to move. Once again, it’s tempting to take your frustration out on the other person. After all, they’re inconsiderately making you late. If the other person is around, stopping to talk briefly can defuse a potentially hostile situation. Perhaps the person who parked illegally is having a crisis or a medical emergency. What if the car is abandoned? You might not be able to find the person who blocked you in. If you have to get out of the house and you can’t get hold of whoever drove the vehicle, you do have a remedy. You can call a tow company to have them come and move it away. Don’t worry about the expense of the call. So long as the other person is breaking the law they have to pay for the tow. The tow company cand find the owner of the vehicle by searching its license. Once the tow company arrives and lifts the other car, everything is out of your hands. If you’re a business owner, space is at a premium. Every parking spot that’s filled with someone going to another business represents a lost customer. Protect your business by setting up an agreement with a tow company. You and your employees can make regular sweeps of the parking area, and if you determine that a vehicle is improperly parked, call to have them picked up. Besides people taking your parking space without coming into the business, you can also enforce handicapped parking. These spaces are required by law for people with disabilities. Regular policing of the handicap spaces ensures that your business stays accessible for everyone who needs it. Whether you need to get somewhere or if you’re a property owner, it matters whom you call to come pick up the vehicles. 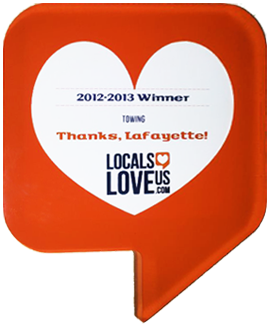 Guy’s Towing Service is the number one outfit in the Lafayette area and throughout Louisiana. We can come wherever you are and get the vehicle off of your property. We’re not overestimating our speed when we give you an arrival time. Guy’s truck drivers make it to you on time or early. No matter which type of vehicle you need towed, we can take care of it. Our fleet is even equipped to handle semi trucks. Having been in business since 1971, we know the ins and outs of the industry. We expanded from one-truck operation to become one of the biggest towing companies in the entire country. As a family-owned business we understand the need for you to take care of your property and keep customers coming in. When someone’s stealing your parking space we come and take care of it. in time to keep you from losing more business. All you’ve got to do is give us a call. We have a dispatcher on duty 24 hours a day, seven days a week. No matter when you need to get out of the house or when your business is open, we’re here for you. If you have any questions about our service, fill out the contact form on this site and our staff gets back to you ASAP. When you call us, make sure to leave a detailed description of the car, including it’s license plate and where it’s parked. If you can have someone meet us when the driver gets there, that helps quite bit. Did you know that we do more than simply towing away vehicles? Our techs can also charge dead batteries, replace deflated tires and perform other minor assists for drivers in distress. Your new and regular customers can enjoy a sense of protection knowing that a ride or help with a breakdown is just a phone call away. You earn their trust and respect when you help them take care of a problem in mere minutes. 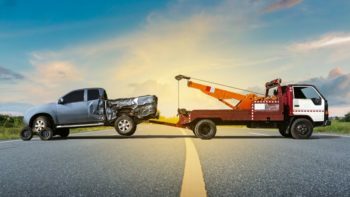 Here at Guy’s Towing we’re familiar with all of the local regulations governing when and how you can tow someone away. We offer courteous service to both you and the other person. After all this time in business there isn’t much that we haven’t seen. Calling Guy’s takes the burden off of you by taking care of dealing with the inconsiderate parking. Your time is valuable, and you can’t afford to waste it waiting for someone else to come and clear a blocked driveway. The reputation of your business counts on you making it accessible and taking care of your customers. 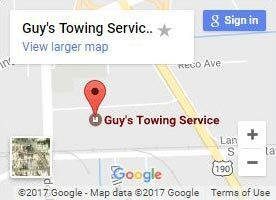 No matter what, trust your business to the most reliable towing company around, Guy’s Towing Service.